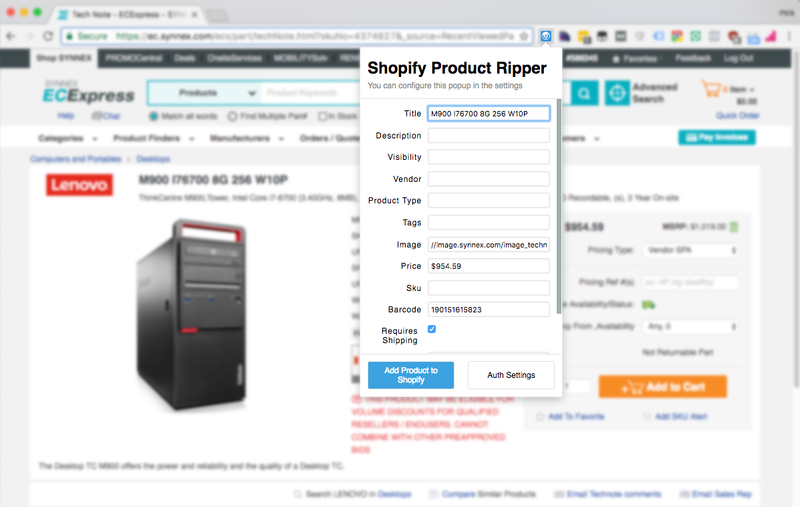 With the Synnex Product Ripper extension installed, the option to import all or some of the data from Synnex becomes available whenever your browser is on any of the site’s product pages. 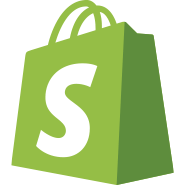 The Synnex Product Ripper extension automates the process of transferring data from the Synnex page to your Shopify store in only a few clicks. Once you are on the Synnex product page that you want to transfer data from, you will see the extension react to the page with a pop-up window, prefilling in the fields that you stipulate. If you only want a few fields copied over, you can specify which ones or actively change things like the product title or description on the fly within the window. If your business is still doing product imports manually, your time is being wasted and could cost you in the long run. Additionally, automation provides much better management of your product data and valuable analytics to give insight on how to better optimize your store. Business Tech Pro is committed to helping businesses manage their product data properly to optimize their stores for search engine results. Through our applications such as Synnex Product Ripper, we help companies automate their product feed management to keep product pages relevant and compliant with search engine requirements. Our Chrome extension automatically grabs relevant product information from the page and creates a new product in your Shopify store with the click of a button. For the best product feed management options available for your store, contact Business Tech Pro at (888) 326-6856 or support@businesstechpro.com to see how we can optimize your customer’s buying experience and your SEO ranking relevance.